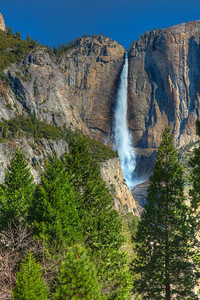 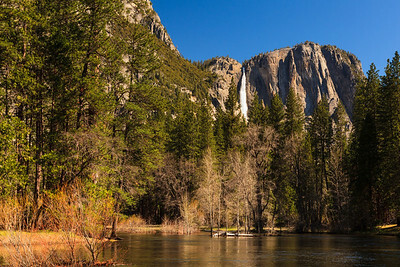 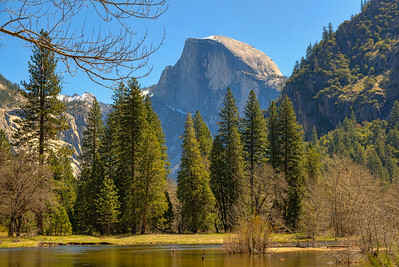 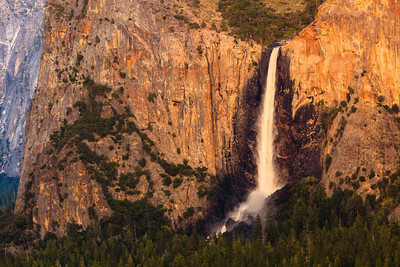 Images from iconic Yosemite National Park. 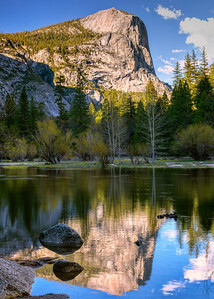 Rippling Reflections Reflections in Mirror Lake, in Yosemite National Park. 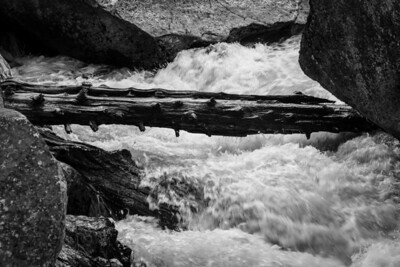 Bridge Over Troubled Waters On the road to Mirror Lake, the water was turbulent, but had not managed to dislodge this limb. 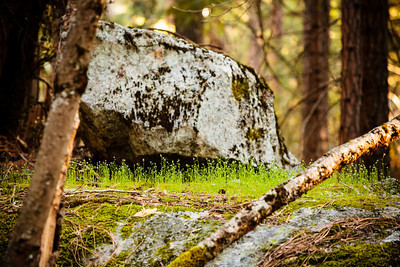 Rock Spring Plants coming back to life on top of a mossy rock, on the road to Mirror Lake. 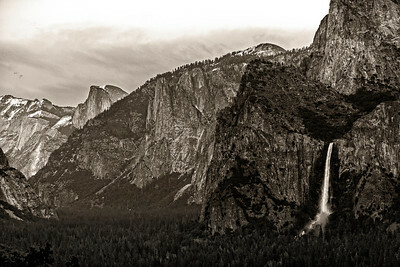 Bridalveil Fall at Dusk View from Tunnel View on Hwy 41. 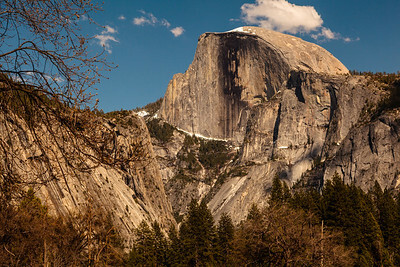 Half-Dome Over There View from Tunnel View on Hwy 41. 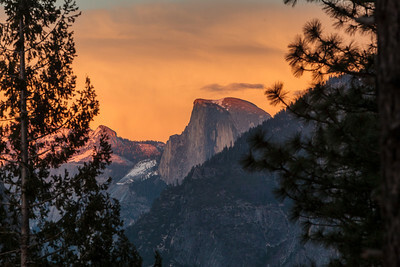 Bridalveil to Half Dome Bridalveil Fall with Half Dome in the distance, as the sun was leaving the sky to the stars.